Barbara Feldman Interiors is a full service firm offering space planning, design and design/build renovations for kitchens, baths, and homes. 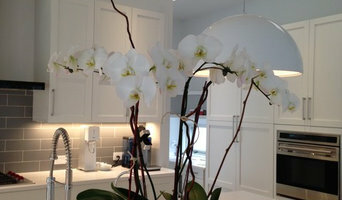 Barbara works closely with her clients in order to create a design that is reflective of their specific lifestyle. Every detail is carefully thought out from conceptual space plans to specific furniture layouts, electrical and lighting plans, construction details, custom furnishings, and interior specifications. The hallmarks of her design - a well thought out space plan, the incorporation of barrier free principles, and the use of cutting edge design elements - work together to produce home environments that are perfect for everyone from Millennials to Baby Boomers and multi-generational families. Our goal is to work with people who want to have a a home they can be proud of while having increased ability to enjoy it for as long as possible. 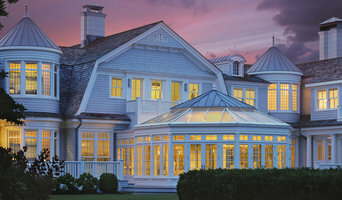 The principal of the firm, Barbara Feldman CID Allied AIA IFDA GC, has been providing iinterior design services in the Hamptons and Manhattan for more than 35 years. She has lived and worked in East Hampton full time since 1994. As both a locally based interior designer in the Hamptons and licensed general contractor, Barbara provides top quality hands-on project management and client representation from concept through completion. She devotes herself to each project from beginning to end, making sure that the end result is consistent with the design intent and that the workmanship is excellent.